Volume 71 no. 5 of Esquire Magazine featuring cover story The Final Decline and Total Collapse of the American Avant-Garde written by Eleanor Lester,May 1969. 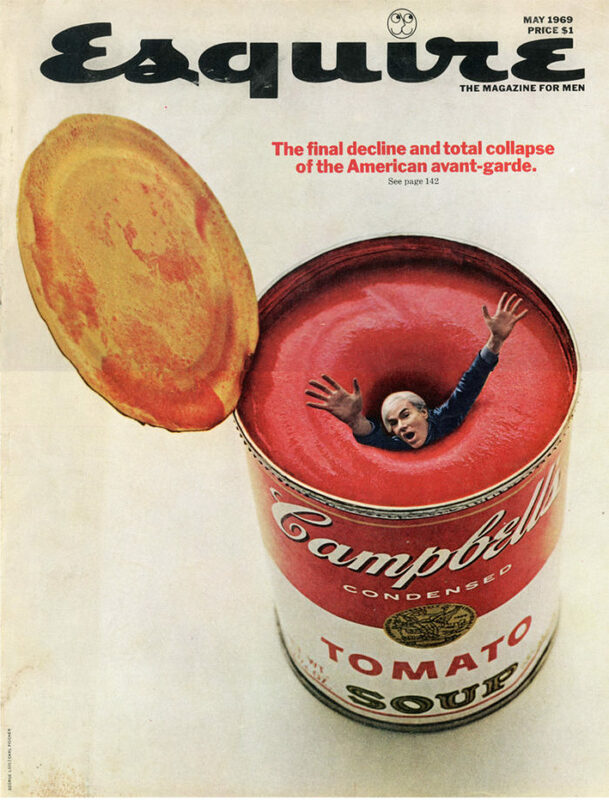 Front cover features artwork depicting Andy Warhol falling into a Cambell’s Soup can, designed by George Lois and Carl Fischer.